Perspective is everything. I read science fiction because it reminds me to look at humans objectively and consider long timelines. I started writing science fiction because humanity spends too much time thinking in terms of years and decades and it's much more fun to think about what we'll be like centuries. Science fiction writers have warned us about ourselves for a century. They showed us the potential of gluttony and pride and greed and they told us stories about our ingenuity and compassion and ability to create art. It's a genre that allows for social and political criticism and absurdist humor. 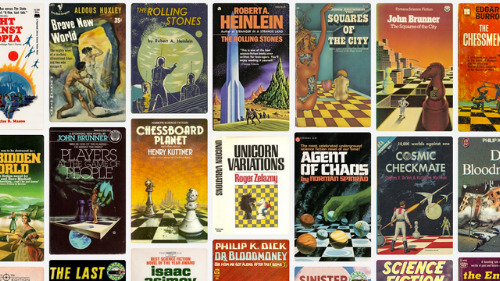 It's my favorite genre, and I genuinely believe that the world would be a better place if people read more science fiction and thought more about the obligations and responsibilities of being human. I have been playing around with writing scifi for the last few years while living in the backcountry, which is not the most obvious setting for writing about technology and the future of the human race, but it's the one that chose me. I'm no Asimov or Bradbury, but we all start somewhere, so please be patient with me as I share bits and pieces of stories I'm in the process of weaving together. I read mostly Golden Era short stories and I love it when a character on a spaceship types in a question on a keyboard and then waits for the spaceship to print out a response. And that's the kind of scifi I feel qualified to write without a PhD or regular access to the internet. Ultimately I hope to complete a collection of short stories about a trail crew living in the Wilderness of a terraformed Mars. Ursula K. Le Guin recently called for a dystopia novel from the AltNatParksService crowd, and that is rattling around my head as well. You can read the beginnings of a story called "A Bit of Sacrifice" here.